Paul H. Layne is President, Central Region for The Howard Hughes Corporation. He is responsible for the master planned communities of The Woodlands, Bridgeland, and The Woodlands Hills in Houston, Texas and the office development at 110 North Wacker in Chicago, Illinois. He also provides strategic oversight for Summerlin in Las Vegas, Nevada and Columbia, Maryland along with other smaller assets within the HHC portfolio. For more than 30 years, Mr. Layne has been a vital leader in Houston’s commercial real estate community as well as in national and international real estate. Mr. Layne received a bachelor’s degree in Management from the University of Houston and attended South Texas College of Law. He currently serves on the boards for the University of Houston Graduate Real Estate Program, the Board of Trustees for Cristo Rey Jesuit College Preparatory School of Houston, advisory board member for Houston’s Urban Land Institute and Catholic Charities. He previously served on the boards for the Houston Downtown Management District, the Central Houston Association, the University of St. Thomas, Lone Star College Foundation, Houston’s Coalition for the Homeless and Houston’s Center for Hearing and Speech. 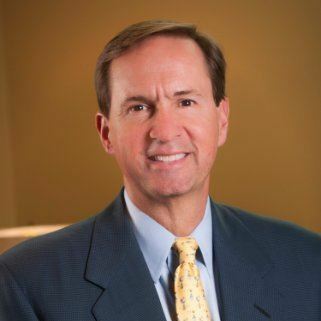 He also serves as a Trustee for the Scanlan Foundation, a moderator and advisory board member for the Houston Business Ethics Forum and the South Texas College of Law Real Estate Conference and is a member of the Serra Club. He is President Emeritus of the Houston Downtown Management District Board and the Christian Community Service Center Board of Directors. Mr. Layne has been a speaker at the U.S. Coast Guard Academy Business Ethics Conference.